KYPRIS beauty is everywhere lately. In bestseller lists, articles about natural beauty and of course, all over Instagram. Who wouldn’t want to shout this brand’s praises from the rooftops? 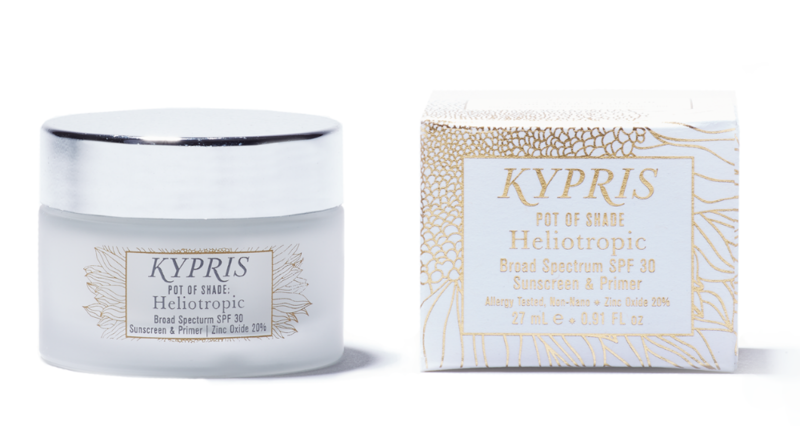 The line of ethical, natural beauty products is a total dream, and with genius founder Chase Polan at the helm, it’s easy to see why KYPRIS has experienced ongoing success. Polan is thoughtful, deeply knowledgeable and extremely passionate, all of which shines through KYPRIS’ products. We chatted about how she’s built this cult brand, her approach to business, and her very favorite KYPRIS product. Kypris has such a unique strategy to beauty, tell us about your holistic approach! 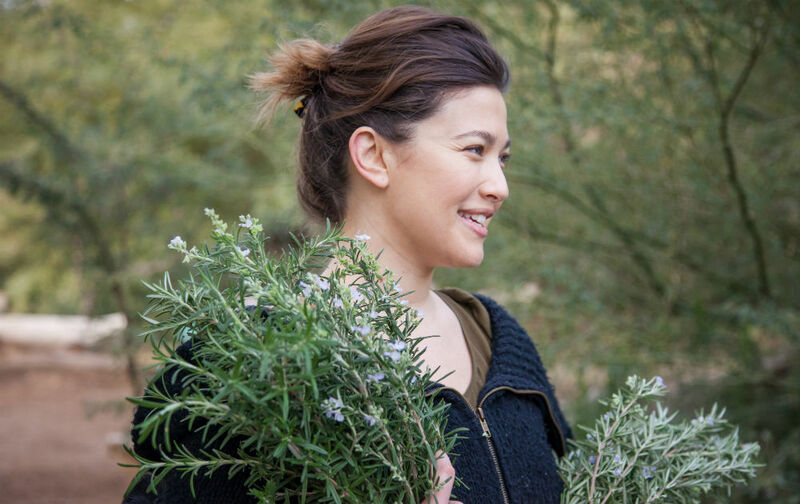 CHASE POLAN: Each KYPRIS offering blends raw, sustainably sourced botanicals with cutting-edge green biotechnology which gently, yet effectively yields consistent, reliable results. The KYPRIS approach to Beauty is a combination of Nature, spirituality, science, psychology, art, regenerative sustainability, and sensorial delight. From this lens, the KYPRIS team and I work to create science-based offerings for an ecstatic experience of Beauty and Being that attend to one's self-care desires. When a collection of KYPRIS offerings are used, the resulting ritual is completely customizable to each application. Thus, if you are at the beach one day and the high desert the next, you likely have everything you need to care for your beautiful skin. You’ve set your brand apart by being thoughtful about ingredients - what inspired you to do this? CP: There are so many reasons. As a brand, our products are our promise to our patrons. Quality and ethics really live in the details and can at times be a little counter-intuitive. Each natural ingredient includes hundreds of phytonutrients that science can only dream of creating all at once in a lab. These are treasures science cannot yet emulate. With respect to the grown ingredients and knowing firsthand the intense, difficult, and sacred work that comes with land stewardship and growing, harvesting, and procuring botanicals, as a brand, we have to do our very best to prioritize quality practices and equity down a supply chain. Yet, each crop, each year is different and so is the resulting ingredient. This is not a problem, but a reality we must manage. The green technologies we leverage in the formulas are the results of lifetimes of research that yield consistent, reliable, measurable results and prove sustainability is about doing things with greater elegance and regenerative benefits to all involved. Together, science and nature blend to create reliably effective, sustainable botanical poetry. Your brand is going from strength to strength- what does success look like to you? CP: Gosh. Thank you. Success. For the business... to continue doing what we are doing yet better and more of it. To continue to form quality, lasting partnerships with spas, physicians, and retailers. To expand and improve our collaborations with growers, wildcrafters, and green technology labs. To inspire and serve our patrons with the KYPRIS values, philosophy, and work as well as share the fruits of those ideas and processes with more people both familiar with and new to regenerative sustainability and ecstatic Beauty. As a female founder in a competitive industry, how do you keep calm and get it all done? CP: In candor, I don't know that I would be described as calm. I'm passionate. I live in my feelings, my intuitions, even my emotions - I choose to trust my divine design do my best to work with who I am. I think there's this false image of entrepreneurs meditating on a lily pad and magically orchestrating it all. I would say that I focus my energies on being kind, grounded yet expansive, centered, and clear. I try not to get too hung up on whether I'm fulfilling some idea of how I'm supposed to be. I get out of my own way, focus on the work, and so much more gets accomplished. That said, professionally, I have the best team. The brand wouldn't be what it is without their talents and dedication and how they each contribute to our work. Personally, I have the best husband for me. I got very lucky. He's beyond supportive and my best friend. Lastly, I live a very intentional life and give my attention to what truly matters which is always being refined and evolved. Where do you see your brand in five years? CP: Personally, I am very passionate about education, quality information, and learning. In the next five years, my deepest hope is that as the brand grows, we will have greater involvement in educational efforts both within the brand and in collaboration with a university, specifically supporting research, scholarships, and educational programming. What’s your favorite product and why! 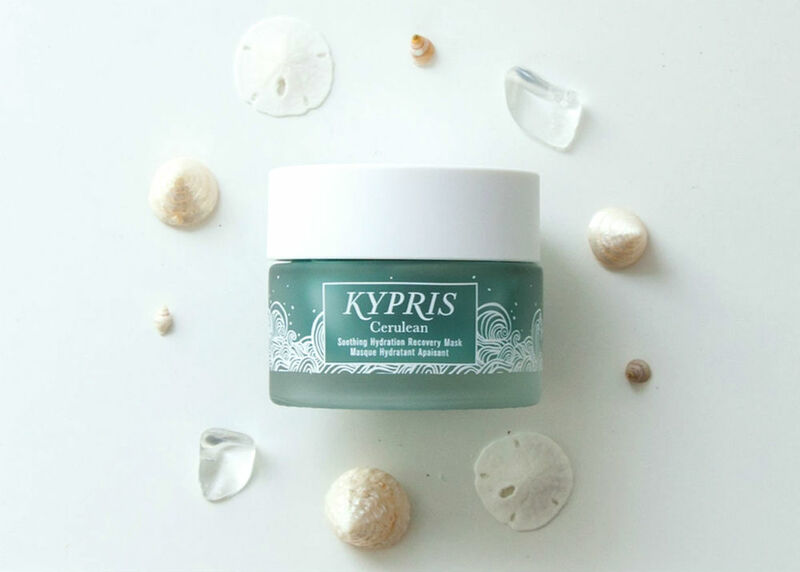 CP: At the moment, I'm luxuriating in the KYPRIS Cerulean Soothing Hydration Mask. I love its skin soothing, plumping, hydrating, oxygenating benefits. I love to wear a few drops of Beauty Elixir I: 1000 Roses over top of Cerulean on the airplane for a sweet hydration treat so I arrive looking and feeling refreshed while working out to really capitalize on the oxygenation benefits, and at night for a more intense hydration recovery. It is fantastic after the sun too. As a piece in the KYPRIS collection, Cerulean, both the name and formula reference our individual relationship to the Great collective which is often represented by the Ocean. Her depths, Her mysteries, Her myriad healing botanicals and minerals, Her collective dream that we can only trace the surface of unless we take the time to tune in and swim. It is spiritual, but it is also science to recognize we derive great benefit from taking a meditative dive. We were designed to attune, which as a treatment mask, Cerulean invites.